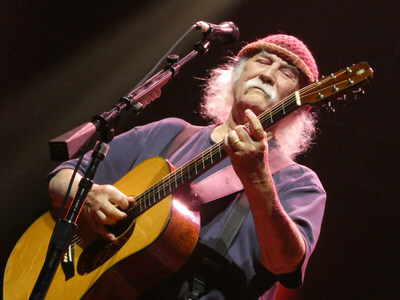 HOLLYWOOD, Calif., April 8, 2019 /PRNewswire/ -- WPI — Singer/Songwriter, David Crosby will participate in the 2019 WeedCon Cup competition as judge and presenter supporting the United States' premier cannabis cup competition awarding excellence for cannabis products. The 2019 WeedCon Cup Awards will take place at WeedCon West, a two day B2B education and networking expo held in Los Angeles, CA in June. Flow Kana is the first sustainable, sun grown cannabis company to embrace the small, independent farm ecosystem. Flow Kana offers a wide range of processing, co-packing, white label, and distribution services to brands, dispensaries, distributors, and manufacturers. Featuring a wide variety of tested and graded products, Flow Kana provides partners with a one-stop shop for clean, compliant cannabis products of the highest quality through a suite of strategic processing and distribution points throughout the state of California. Flow Kana's supported brands include Willies Reserve, Eel River Organics, Brother Davids, Juna and Foria. SHO Products is the leading equipment and technology provider in the world for solventless extraction equipment. SHO both manufactures its own products and operates as a distributor of complimentary product lines. SHO's extraction equipment includes rosin presses, filter bags, parchment paper and dry-sift tumblers. Committed to distributing the best products in the industry, SHO distributes equipment, tools and accessories through their retail partners and online portals. Brands SHO Products brings to market include Dab Nation, Be Lit, and Rosin Tech. WeedCon Cup entrants include California Dab Company, Cali Kush Farms, Dr. Delights, Flor Pure Flower, Green Shock, The Original Jack Herer, Kushy Punch, Ignite, Island Medibles, Lit Club, Liquid Flower, Legit Tasty, Mary's Medicinals, Dr. Norms, The Package Company, Papa & Barkley, Rove Brand, Sunderstorm, Silver Dragon Cannabis, Sol Spirit Farm, Stone Road Farms, Tinley Beverages, Talking Trees Farms, WildLand Cannabis.